The Echo Lake neighborhood was beginning to develop. Open roads and rural settings called to those with a car, and businesses and real estate began to develop for people on the road. Much of the territory around Echo Lake was re-platted around 1934 into what was known as "Echo Lake Park", advertised as the ideal setting for getting away and for owning your own little piece of rural America. Soon newer houses sprang up beside long-term residents. 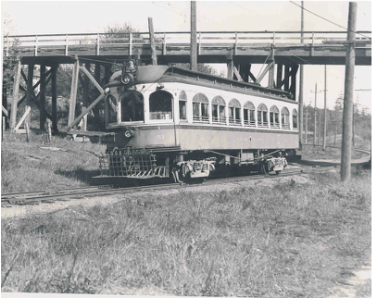 The Interurban made its last run in February of 1939, becoming, alas, a relic of the past. The photograph above is bathing beach owner Herman Butzke, on the right, with an unknown visitor on the left, in front of the first little store at the bathing beach, around 1923. This important highway utilized parts of the earlier highway stretching from Mexico to Canada. The new, straight, wide road abandoned numerous sections of the old brick thoroughfare. By 1928, many of the older sections were relegated to residential and other secondary uses. 1923. 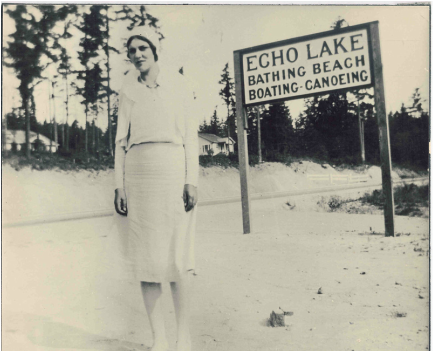 Minnie Butzke in the foreground, in front of the new Echo Lake Bathing Beach store. This photo is the Newkirk residence, on 185th street, at about Ashworth. The view is looking north toward Echo Lake. Note that the trees are very young, tall and spindly, after logging about 30 years earlier. Roberta Newkirk, feeding the chickens. 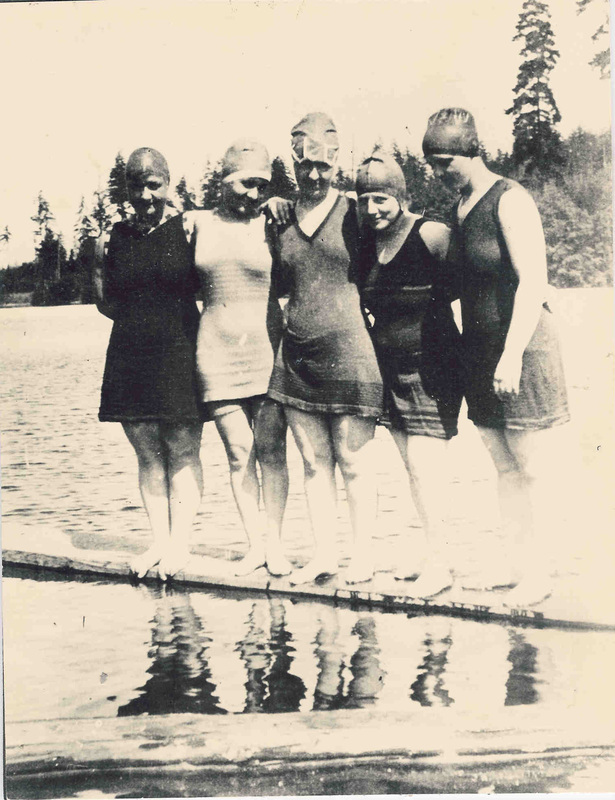 Florence Butzke (2nd from right) and four nurses from the Firland Sanatorium take a break from swimming to pose for the camera at the Echo Lake Bathing Beach. 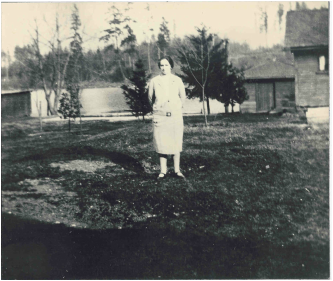 1928: Aurora Village. 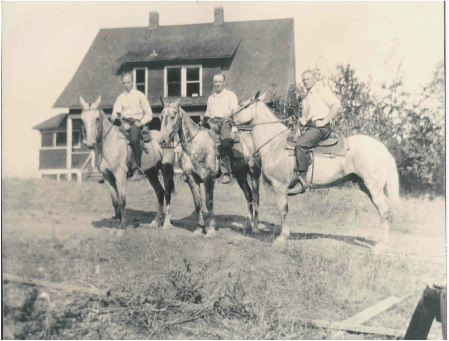 Rush Multon, Twin Benson, and Herbert Butzke rent horses for the day at the Robinson's place, now the site of Aurora Village. 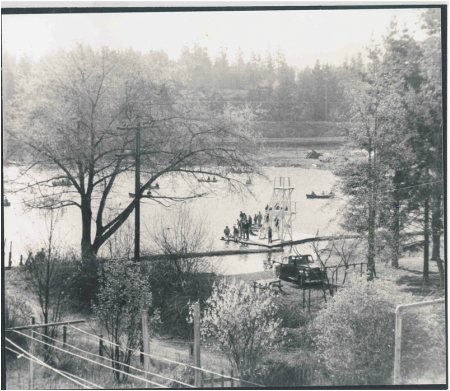 Opening day of fishing season would bring many people to the lake to try their luck, with some fishing from the dive platform while it was still too cold to swim. 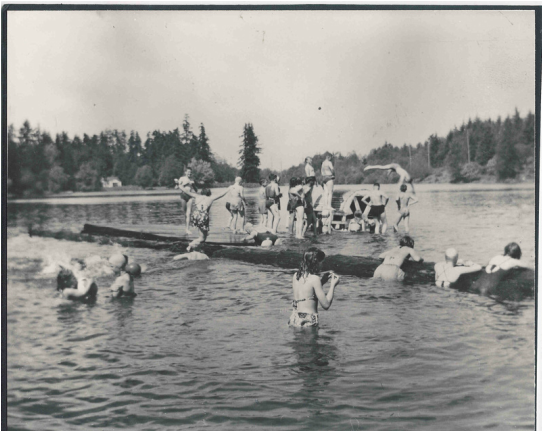 Kids have a great time leaping off logs and swimming to the raft and water wheel in @1935! 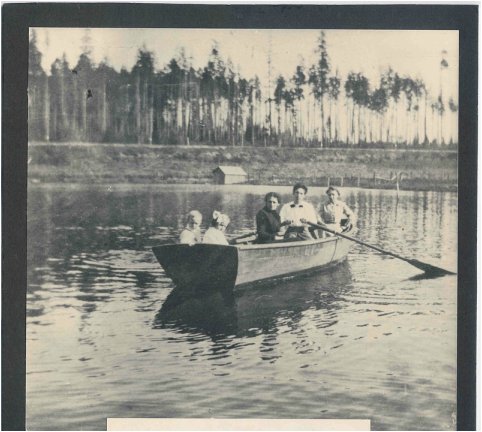 Cousins Florence and Herbert Butzke sit in the stern of the rowboat on Echo Lake. (Mothers L-R Minnie Butzke, sister-in-law also Minnie Butzke , and Louise Butzke, grandmother). The subdivision called "Echo Lake Park" consolidated several other plats. 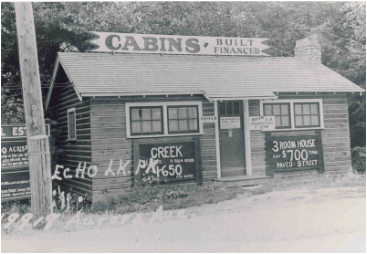 This 1936 or 1937 photo shows the sales office. This Model Cabin was next door to the sales offices. Today, the building on Aurora Ave. North, at approximately 199th, is still in existence and houses a tattoo parlor. Melby's Echo Lake Tavern was built in 1928; it and may have jumped the gun a bit on the end of prohibition! There are rumors of shipments from Canada. 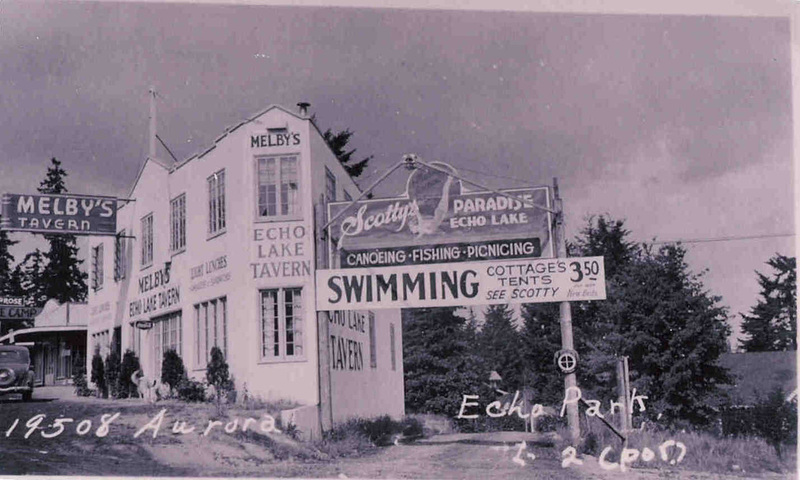 Scotty's Paradise offered competition to the longer-running Echo Lake Bathing Beach by renting "cottages and tents" as well as the usual boats and a beach. This photograph is not dated, but Ma Butler's little place operated in the 1940's. It was just a little snack and malt shop, just south of the Echo Lake Tavern. Beach, and while the adults were visiting the tavern, the kids could stop at the malt shop.